3. Who knew you could LOVE a phone case?! My lovey got me this Mickey Mouse iPhone case by Dooney & Bourke ... L-O-V-E it!! (NEED one too? Find it here. *SALE ALERT! * I just saw that Disney is offering 10% off their Dooney & Bourke collection March 14-17 with the promo code: DOONEYTEN! More details: here). 5. 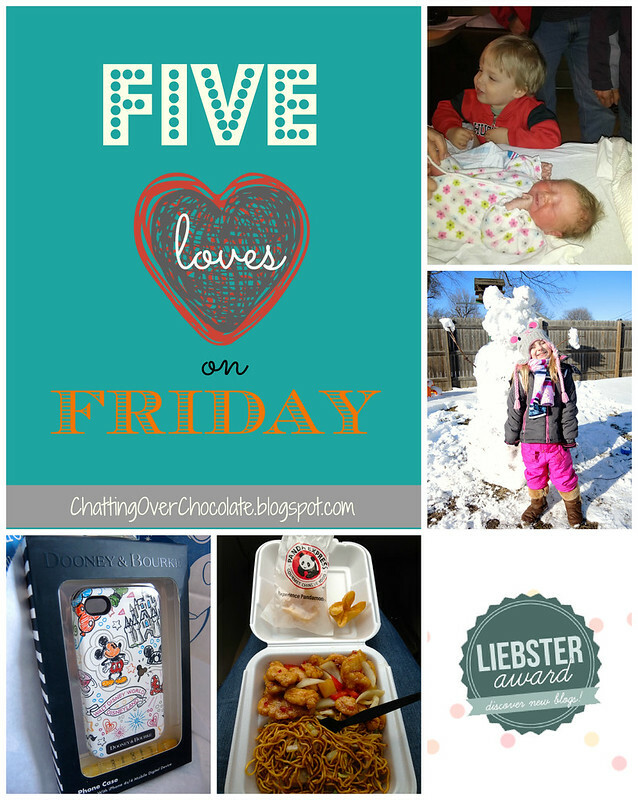 Four more sweet bloggers nominated me for Liebsters! Since I recently accepted nominations from three other bloggers (see Triple Liebster Love), I thought rather than posting yet another award acceptance, I'd simply opt to give a big THANK YOU to Myrna & Joye of The Busy Bee's, Claudia of Pretty Little Dahlia, Marianne of Sandling All Day, and Krista of A Handful of Everything for the nominations! I'm so honored! Thank you all oodles!! PROCEED WITH CAUTION: Extreme CUTENESS Straight Ahead!
. . . Isn't my pretty lit'l niece precious?! OH my freaking goodness how precious is that little one! I love the flower band on her head. (I so almost did that to the boys just because I love them so much ... lol). LOVE the ph case! I so miss having panda express, the boys have brought it home a few times and I sat there and died a little ... lol. What a cutie patootie! This post is giving me baby fever! :) and...mmmm, love me some Panda Express!! 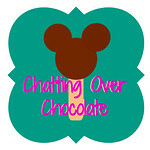 Thanks for linking back to my 5 Things Friday party! Awww, sweet little niece! Love the phone case - so cute. Congrats on more Liebster awards..you rock!